We are facing a global food crisis as climate change affects our food supplies. Already we struggle to feed everyone on the planet. By 2050 there will be another two billion people. Current food production would need to increase by 70% to make sure that no one goes hungry. Now more pronounced El Niño events are causing flooding and drought. Farmers are unable to plant crops, or see their crops wither and have nothing to harvest. With the current rate of carbon emissions, tens of millions more people will go hungry in the next 20 years as harvests dwindle and food prices shoot up. A global rise of 2° C by 2050 may force 250 million more people from their homes in search of food, water and livelihood. Crop yields for staple foods like wheat, rice, maize and soy may fall by 11%. Up to 3 billion people will not have enough water. Anglicans around the world are in the forefront of meeting this challenge by educating their communities and helping farmers adapt agricultural practices and tackle the effects of climate change. In Latin America, the Church has made climate change a development priority, to protect the green lung of the world in Amazonia. In many African countries the churches are working with farming communities on water-saving techniques such as hydroponics and “zero cultivation” or Farming God’s Way. Tree-planting programmes aim to stem deforestation. 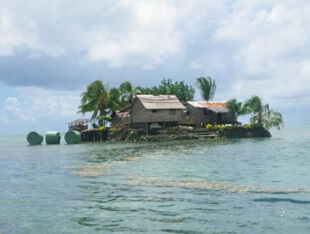 And in the Pacific, where some islands’ existence is threatened by rising sea levels, Anglican churches and agencies are working with local communities on alternative energy and mitigation measures. World Food Day is an important date each year in our work to address hunger and issues of food sovereignty. Join us as we seek sustainable answers to the food security challenges posed by climate change.